Plan your next amazing road trip from Perth to see the beautiful sights that Western Australia has on offer. Visit the Margaret River and taste the world-class wine, experience The Pinnacles, hike through the Kalbarri National Park and see the famous pink lake in Port Gregory. VroomVroomVroom is here to help you with all your car rental needs so that your Perth adventure is epic. The Margaret River is one of the largest premium wine growing regions in Australia. The stunning location, gourmet range of produce, award winning chefs and breathtaking natural landscapes makes this place an essential road trip destination. Directions: Get on State Route 2 from Roe St and Wellington St / State Route 65. Follow State Route 2 and National Route 1 to Robertson Dr/State Route 10 in Davenport. Follow State Route 10 to your destination in Margaret River. Recommended car: For a comfortable drive we recommend a SUV compact elite such as an Audi A6 or similar. The wine trail:So many wineries, so little time! 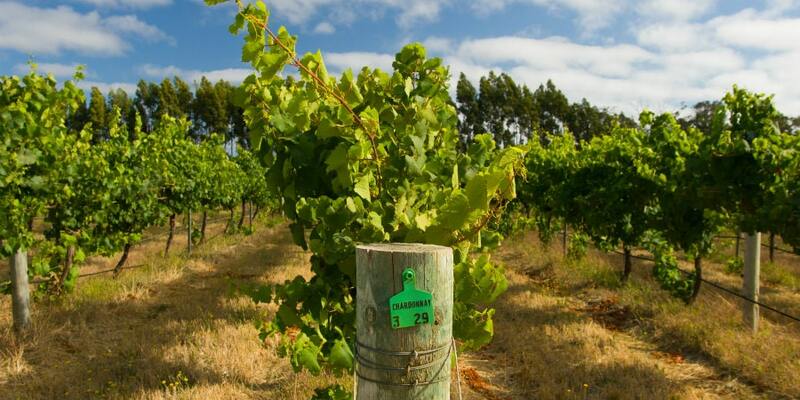 The Margaret River is known for it's premium wine region. From 1967, this area has grown and developed into a magical wonderland that people travel all over the world to visit. The food: Does a long lunch stretching into the afternoon sound like a dream come true? Make sure to visit Rustico at Hayshed Hill and for a stylish place to dress up and have fun, Amelia Park Wines will be perfect for you. The great thing about this place is that there is something for everyone, and we really mean everyone. So sit back, relax and have fun, you're in the Margaret River after all! The beaches: The beaches in Perth are truly breathtaking. If you are the surfing type, there are 40 spots where people love to surf dotted around the Margaret River. Hamelin Bay is a stand out for locals thanks to the crystal clear water and white sandy beaches. The Pinnacles and Cervantes are truly amazing places to visit. Not only can you visit these limestone structures but you can snorkel and enjoy yourself at the beach as well. Directions: Take Roe St to Mitchell Fwy/State Route 2 in West Perth. Follow to Burns Beach Rd in Currambine. Take the exit from Mitchell Fwy/State Route 2. Follow State Route 85 to National Route 1 in Muchea. Turn left onto National Route 1. Take Woolka Rd to your destination in Nambung. Recommended car: For longer distances, we recommend a large SUV full-sized vehicle like a Mitsubishi Pajero or similar for comfort. The limestone formations: The juxtaposition between the warm tones of The Pinnacles and the bright blue sky and ocean is a beautiful sight to be seen. The seafood in Cervantes: If you are a seafood lover, you have come to the right place! Cervantes is known for its lobster and delicious range of seafood. The beaches: We recommend going to Thirsty Point Lookout and Hangover Bay for amazing beach locations. From here you can snorkel and hang out on the white sandy beaches - sounds like a match made in heaven if you ask us. The Kalbarri National Park is a must see for nature lovers and the Port Gregory pink lake at sunset is a magical sight to be seen. Directions: Take Roe St to Mitchell Fwy / State Route 2 in West Perth. Follow State Route 60 and National Route 1 to Stephen St in Northampton. Turn left onto Wanneroo Rd/State Route 60. Follow Port Gregory Rd and George Grey Dr to Grey St in Kalbarri. Recommended car: When driving in rural areas we recommend using an SUV standard vehicle such as a Mitsubishi Outlander or similar for a safe drive. The scenic views: The Kalbarri National Park is the ultimate hiking destination for both beginners and avid hikers. The contrast of the deep blue ocean and then the striking cliffs and bush land is a beautiful sight to be seen. The pink lake: Yes, we are being serious, there is a pink lank called Port Gregory about 45 minutes away from Kalbarri National Park! How can this lake be pink you ask? Surprisingly the bacteria trapped in the salt creates this gorgeous pink colour in the lake. After you have visited Kalbarri National Park, drive over to this pink hued lake and watch the sunset, how dreamy! Do you know that you can download this map directly to your phone? Press the box symbol located on the top-right corner of this map to open in your Google Maps app. Now you can easily access this map on your next road trip adventure in Perth.